xanderdellus 169 2.2 2010 Waitlisted and withdrawn. k8ford 162 3.8 Economics Female No UT 2009 Accepted Not attending. mikealao 156 3.2 3.0 Accounting Male Yes OH 2011 Waitlisted Waitlisted - will withdraw. 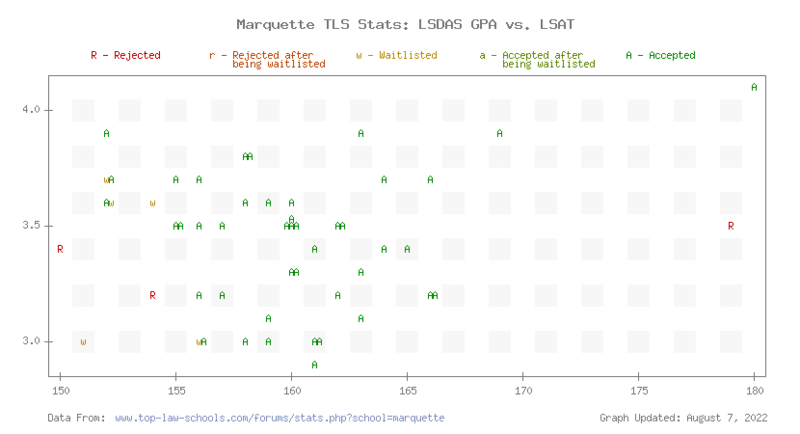 Be sure to check out the TLS Profile on Marquette Law.